Abstract: The governed are concerned with their governments. The people of Elizabethan England were no different, and as an artist Shakespeare expressed his concern through his work. While not always a central issue in his plays, an element present in most of them is an examination of good rule. Leaders – kings, dukes, generals, and so on – are often the protagonists, and this is certainly true in Shakespeare’s histories. These plays were a way for Shakespeare to examine and comment on the nature of good rule and what was best for England, and it can be argued that England itself is the true protagonist of these plays. Often the rulers in these plays possessed qualities that can be seen as Machiavellian, yet Shakespeare often approves, because those that “win” are those that are best for their country. This is true in Richard II and the failure of Richard and the success of Bolingbroke can be closely linked to advice put forth by Niccolo Machiavelli in The Prince . 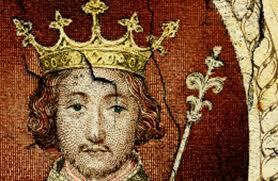 With this play, Shakespeare looks back to this Middle Age period of King Richard II through a 16th century Renaissance lens and allows that 16th century Machiavellian political thinking and methodology can be the cornerstone of good rule as England began a move away from its medieval roots and into a Renaissance power.